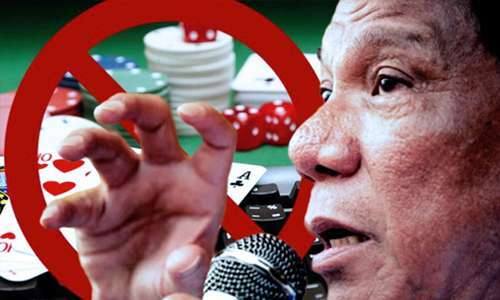 The widespread crackdown against various forms of online gambling in the Philippines led by newly elected president Rodrigo Duterte is continuing, with the state-run regulatory body, the Philippine Amusement and Gaming Corp [PAGCOR], quietly confirming a first wave of license suspensions. According to reports published early today in Philippines-based news outlets, 124 e-gaming licenses previously issued by PAGCOR have already been pulled. The online licenses, mostly for bingo but including, according to approximate reports, a couple of dozen online-casino offerings as well, are the initial salvo in President Duterte’s vowed clampdown against the Philippines’ online-gambling industry, in particular those serving the Philippines’ own citizens. Duterte was elected on an authoritarian, anti-corruption platform, and is also vowed to eliminate various enterprises, legal and illegal both, that can contribute to addictive behaviors. As a result, the approximately 50-billion-peso (just over US $1 billion) annual income the government receives from online-gambling licensing and revenue taxation is now in doubt. The 124 affected licensees appear to have contributed about 10 billion pesos (US $200 million) to that bottom line. Further, most other licenses, according to statements made by PAGCOR chairman Andrea Domingo yesterday, will not be renewed. Domingo announced the initial license cancellation while speaking at a gambling-industry forum in Capampangan on Friday. Duterte’s extreme authoritarianism and fascist leanings have had extreme effects already. His vows to curtail crime, corruption and addictive behavior have already led to dozens of alleged drug dealers and addicts being murdered in vigilante-justice slayings, which Duterte himself actively encouraged in his rhetoric-laden speeches. “Please feel free to call us, the police, or do it yourself if you have the gun — you have my support,” Duterte infamously said. Though the Philippines’ online-gambling industry is not as corruption-driven as some of the outright illegal activity in the country, such as the rampant drug trade, there is no doubt that some corruption exists. PAGCOR chairman Domingo, in announcing the license yankings yesterday, noted that those licenses that were pulled may have been obtained illegally. In the widely-operated scheme, bingo operators falsely claimed a physical presence for their operations, paid the 40,000-peso fee (about US $850) for an online license, then sold the operational rights to that license to other people for what Domingo claimed was “millions of pesos.” That the licenses were issued in such a widespread manner by PAGCOR without the agency doing simple background checks into the existence of the mandated physical venues is also part of the problem, though it appears that a likely-obedient PAGCOR is now on a short leash to please its new master, Duterte. The ripples from the online-gambling crackdown, which in time could encompass virtually everything PAGCOR currently licenses, are expanding. Major operator PhilWeb was recently forced to suspend trading in its shares after its stock price tumbled more than 30% after Duterte announced his planned online-gambling crackdown. 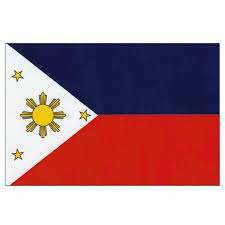 PhilWeb operates approximately 277 e-games outlets and 8,977 gaming terminals in the Phillipines. Along with PhilWeb, major online Filipino operators Leisure & Resorts World Corp and DFNN are among the businesses unsure of their future. PAGCOR has also announces changes in how the regulatory agency handles its own reports and finances, in an effort to increase transparency. Beginning next year, PAGCOR intended contributions to other government agencies will be deposited to the Philippines’ Bureau of Treasury. This allows the contributions to be included in the national budget “for the sake of transparency and accountability,” according to Domingo.